There was some reassurance, mixed with worrying reminders of what gambling can do in the lives of many of our fellow citizens in the address given by Rob Burrell at the meeting this week. 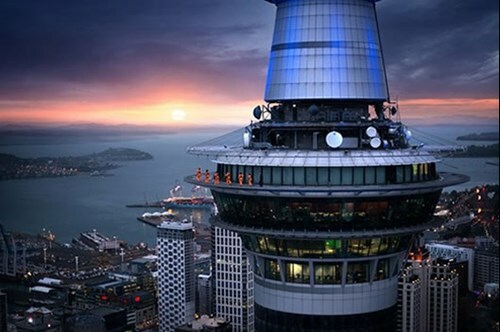 Rob has a team of ten whose responsibility on behalf of Sky City Casino is to keep an eye out for potential or actual gambling addicts as well as anyone breaking the strict rules of casino use. With 400,000 customers per month and 1 in 25 likely to have a ‘gambling problem’ there is no shortage of potential ‘clients’ in this job which Rob admits is not easy. Gambling can often be a symptom of other issues in the lives of those addicted and any assistance to overcome the problems often need to take a wider holistic approach. It takes time – years even- for many to make any progress and, as with alcoholism, one breach of an abstinence regime can bring good intentions to ruin – literally. Rob says there is no silver bullet providing all the answers as individuals are complex and many simply don’t want to deal with the issue. Under Host Responsibilities (see the Sky City website) the casino is constrained to ensure everything from marketing to policing is lawful, supportive of the punters and within the bounds of privacy regulations. He stated that it all comes down to personal responsibility which is the line taken in ‘counselling’ sessions with at-risk customers. Rob stated that a clinical psychologist would still find the going hard for those whose self-perception is that they ‘are fine’ – a denial of any problem while their family life and savings disappear into the casino coffers.THAW (The House Always Wins) is the stark reminder that gambling is not the way to untold wealth but some, it seems, are prepared to risk tens of millions of dollars in their expectation of big reward. In answer to a question from the floor Rob said that about 80% of gamblers were Asian, but not all Chinese and that some of the ones at most risk are those migrants from countries where opportunities to gamble are either prohibited or very restricted e.g. Middle East. The number of questions directed to Rob reflected the level of interest generated by his address. We left that much better informed about what goes on in the gambling scene and reassured to some extent that there is some sort of safety net for those most at risk. I have concerns about a friend or family member, how do I stop them visiting? At SKYCITY there are two ways to control your gambling: Self-identified exclusion and Third Party Exclusion. You can either call and speak to our Host Responsibility on 09 363 6000, or if you are at the Casino, please visit the Security desk or speak to one of our security team. More information can be found here. You must be aged 20 years or older to sign up to Premier Rewards Programme. SKYCITY is a responsible host. If you wish to discuss your Gaming, please talk to a SKYCITY staff member or call the Gaming Helpline on 0800 654 655. Children under the age of 14 years must not be left alone at SKYCITY. For more information please contact the SKYCITY Shift Manager on 0800 SKYCITY.